The Life and Adventures of Santa Claus veers away slightly from the traditional stories of his beginnings. 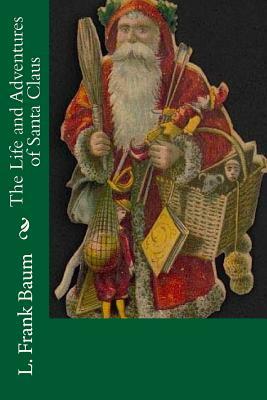 L. Frank Baum creates a world of fantasy that surrounds Santa Claus's life. Orphaned at an infant he is found by the nymph Necile, who convinces the great Ak to allow her to raise Claus for her own. As he grows older he meets his fellow humans, and sees the neglect of children. This sets him on the path to making toys and becoming the beloved Saint Nicholas we are familiar with today. Lyman Frank Baum (May 15, 1856 - May 6, 1919), better known by his pen name L. Frank Baum, was an American author chiefly known for his children's books, particularly The Wonderful Wizard of Oz. He wrote thirteen novel sequels, nine other fantasy novels, and a host of other works (55 novels in total, plus four "lost works," 83 short stories, over 200 poems, an unknown number of scripts, and many miscellaneous writings), and made numerous attempts to bring his works to the stage and screen.